The Java is a breed of chicken originating in the United States. Despite the breed’s name, which comes from the island of Java, it was developed in the U.S. from chickens of unknown Asian extraction. It is one of the oldest American chickens, forming the basis for many other breeds, but is critically endangered today. Javas are large birds with a sturdy appearance. They are hardy, and are well-suited for both meat and egg production, especially by small-scale farms, homesteads, and backyard keepers. 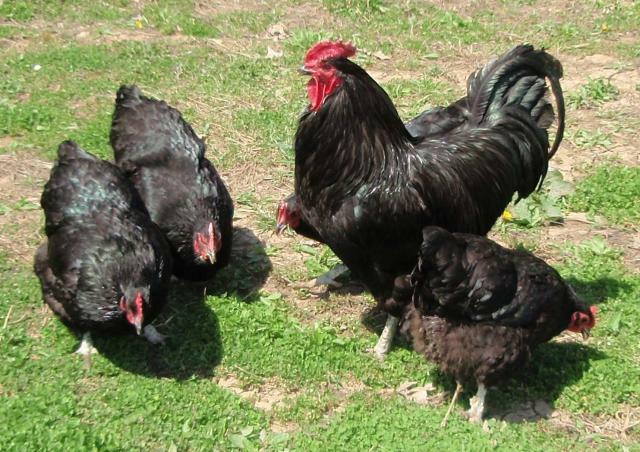 Both varieties, the Black and the Mottled, were admitted to the American Poultry Standard in 1883 at a time when it enjoyed considerable popularity.